Never Too Old for YA Books and I are continuing to honor indie authors this month. Today I would like to welcome Uvi to the group and blog to chat about what it is being an author. Why, why can’t you say nothing? Say any word—but that one, ‘cause you don’t really mean it. Nobody does. Say anything, apart from Love. For my own sake I should have been much more careful. Now—even in her absence—I find myself in her hands, which feels strange to me. I am surrounded—and at the same time, isolated. I am alone. I am apart from Love. A simple word; a loaded one. You can say it in a whisper; you can say it in a cry. Expressed in the voices of father and daughter, you can hear a visceral longing for an ideal place, a place never to be found again. 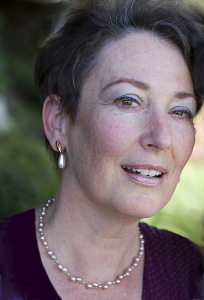 Uvi Poznansky is a California-based author, poet and artist. You can view daily posts of her writing and art on her blog, http://uviart.blogspot.com. She earned her B. A. in Architecture and Town Planning from the Technion in Haifa, Israel. During her studies and in the years immediately following her graduation, she practiced with an innovative Architectural firm, taking a major part in the large-scale project, 'Home for the Soldier'; a controversial design that sparked fierce public debate. 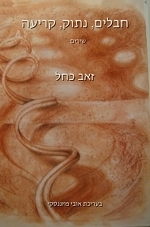 During the years she spent in advancing her career--first as an architect, and later as a software engineer, software team leader, software manager and a software consultant (with an emphasis on user interface for medical instruments devices)--she wrote and painted constantly, and exhibited in Israel and California. In addition, she taught art appreciation classes. Her versatile body of work can be seen online at uviart.com. It includes bronze and ceramic sculptures, oil and watercolor paintings, charcoal, pen and pencil drawings, and mixed media. Her novel, Apart From Love, was published February 2012. Her poetry book, Home, is about to be published this fall. And without further ado, here is Uvi to answer our questions! I began telling stories and composing poems before I learned to write. When I was a little girl, my father, a published author and poet in Israel, would often invite me to ‘help’ him rhyme his lines. Later when I was in grade school, the principal called my parents for a meeting. He was worried because a story I wrote described the emotions of the character in a way that was ‘alarmingly vivid.’ When I moved to a new school, he wrote a letter to the principal, telling him that this student is destined to become a writer. How long does it take you to write a book? What is your work schedule like when you're writing? It took me an entire year to write Apart From Love, which is an amazing feat! I wrote continuously and with great gusto, not making any distinctions between writing and rewriting, putting in 12-hours of work, enjoying every minute of it! In my mind, conflict is the engine of the story. So if the characters are fully fleshed out, and each of them has a different need that conflicts with the other characters, all that remains for me to do is listen to the way they chatter back and forth in my head, and be ready to write it down before I lose them. So for an entire year, I have been chasing my characters with a pen. I do extensive research on every aspect of the story, from choosing the locale for the scenes, studying the effects of daylight and night illumination on them. Here is a great example of the research I do: A year ago I introduced a white piano into my story Apart From Love. The mere presence of this instrument in Ben’s apartment suggested a variety of scenes, such as the musical duet in chapter 18. Now, how would you go about writing a duet, when your knowledge about playing the piano is nothing but a faint memory from the age of six? I found several ways of learning the intricate details. First, I watched numerous videos, showing an old couple married 62 years playing impromptu recital together in the atrium of the Mayo Clinic. Then I read numerous articles, giving step-by-step instructions about singing duets, which taught me that eye contact and exchanging nods between the two players is at least as important as striking the right notes. Next, I selected a piece of music, The Entertainer, and learned more than you ever wanted to know about every note of it, and how it should be played. I did it, among many other ways, by watching instructional videos like this one. Finally I had to fold in the difference in both musical education and temperament between Ben and Anita. “In my defense I have this to say: When men notice me, when the lusty glint appears in their eyes, which betrays how, in their heads, they’re stripping me naked—it’s me they accuse of being indecent. To my surprise, Anita started to invade my mind! She ended up taking center-stage in the story, not only because of how attractive she is, but most of all, because she serves as a strong contrast, both to Ben and to Lenny. She is a strong female protagonist trying to survive the complexities of this strange family. I have written a poetry book (now out of print), two children books, for which I also did the animation, which you can see on my author page on Goodreadshttp://www.goodreads.com/author/show/5758946.Uvi_Poznansky and now, a novel titled Apart From Love. This is an intimate peek into the life of a uniquely strange family: Natasha, the accomplished pianist, has been stricken with early-onset Alzheimer’s. Her ex-husband Lenny has never told their son Ben, who left home ten years ago, about her situation. At the same time Lenny has been carrying on a love affair with a young redhead, who bears a striking physical resemblance to his wife, but unlike her, is uneducated, direct and unrefined. This is how things stand at this moment, the moment of Ben’s return to his childhood home, and to a contentious relationship with his father. In addition I have written numerous short stories and poems, some of which I post, from time to time, on my blog. Now, asking which is my favorite is like asking which one of my children I prefer... Each one has a special place in my heart. Over a year ago I wrote a short story about a twelve years old boy coming face to face, for the first time in his life, with the sad spectacle of death in the family. Stunned, Ben watches his father trying to revive his frail grandma. Later, Ben attempts the same technique of mouth-to-mouth recessitation, on the fish tilting upside down, dying in his new aquarium. I set the story aside, thinking I was done with it. But the character of the boy, Ben, wouldn’t go away. He started chatting incessantly in my head, keeping me awake at night. So I asked myself, what if I ‘aged’ him by fifteen years? Would he still admire his father for ‘blowing life’ into the old woman--or will he be disillusioned at that point? What secrets would come to light in the life of this family? How would it feel for Ben to come back to his childhood home after a long absence, and have his memories play tricks on him? What if I introduce a girl, Anita, a redhead who looks as beautiful as his mother used to be--but is extremely different from her in all other respects? And what if this girl were married to his father? What if the father were an author, attempting to capture the thoughts, the voices of Ben and Anita, in order to write his book? Just asking these questions had an immediate affect on Ben: as if a page has turned, he grew up into his new age—but then, somehow, he forgot to mature... So the process of writing became, for me, simply listening to him, and to Anita, and trying, as fast as I could, to capture their thoughts. They chatted with such intensity! I wish I could record everything they said. After a full day of writing nonstop, just before my eyes closed, I would hear Ben whisper something in my ear, and promise myself I would put it on paper next morning—only to find the phrase gone by the time I woke up. So, to slow down the chatter I would throw some obstacle in my characters’ way, and let them ponder how to find their way around it. This, I found, was such a fun method of developing the story, and it allowed the plot to twist and turn in unexpected ways. When I start writing I jot little notes to myself where ever inspiration strikes. But as I go deeper into the writing process, I find myself at home, with my laptop, and the hours fly by. I start early morning, and after what seems like a minute, I realize it’s already time for dinner! In today’s literary market, there is a split between traditional publishing and indie publishing. Each one has its advantages and challenges. Being an independent publisher, I took upon myself nearly all aspects of publishing, except for the editing, which was done by me reading the book, chapter by chapter as it came along, in front of an audience of fellow writers, and listening to their feedback. So I did the interior design of the paperback edition of Apart From Love, meaning the font size and family of the text, the fancy first letter in each chapter, how the title and author name are laid out on page, and the indentation of the first paragraph as opposed to other paragraphs. All this makes for a fluent reading, even if you do not notice the details of the interior design. "One more thing of note - this is by far the BEST formatted and arranged Kindle book I've ever seen. If you've seen better or even approaching this level of quality, do let me know, I'd like to see it for myself." 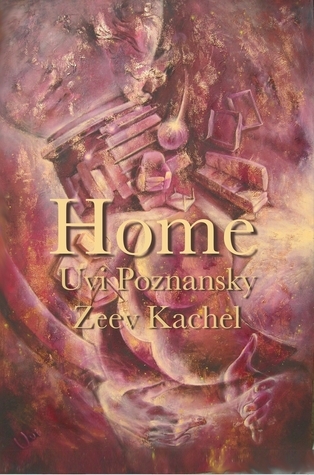 “Uvi Poznansky is a Renaissance woman - poet, fiction writer, sculptress, architect, software engineer. Her first novel APART FROM LOVE reflects her many talents. It is full of unique visual imagery; some of the scenes read like exquisitely dressed stage sets. The cover art is also hers. Metaphors of art and music abound and support the novel's themes of passion, identity, and fractured family relationships. Other reviewers have commented on the novel's plot; I won't reiterate those remarks. No "spoilers" from me! For this reader the most remarkable aspect of APART FROM LOVE is Poznansky's manipulation of the complicated narrative strategy in which three characters - Ben, his father Lenny, and Anita (Lenny's young second wife) - share the telling of the story. Ben and Anita are the primary narrators, and later we learn that Lenny is the "author" who secretly is piecing together their tape recorded narratives. He thinks of himself as a "keeper of secrets," yet it is the secrets of Ben and Anita that are revealed to him. Since the narratives are fractured and then, we suppose, "translated" by Lenny, the reader is left in a kind of suspense about what really happens. The lack of coherence created by the audiotapes - some of which have been written over multiple times - creates a fascinating, puzzle-like narrative in which the philosophical question of the nature of truth and reality is spun out for the reader. Each of the narrators has a distinctive voice; others have commented on the fact that Anita is uneducated and her language is unsophisticated and slightly crude. Personally, I found her refreshing - and perhaps the most honest of the three tellers of this ironic and painful "love" story. In any task you undertake, you often hear the advice: start at the beginning, continue down the middle, and finish at the end. Writing is no different. Problem is, as you advance diligently down that path, you may find--to your surprise--that you are getting better, more proficient at your craft. Suddenly the opening of this chapter sounds so much catchier than the previous one; and the ending more powerful. Which requires constant re-evaluation and reworking of previous chapters. So in my opinion, the process of writing is Cyclical. By the time I completed the last chapter of Apart From Love, I knew I had to discard--or at least, rewrite and restructure--the first chapter. At this point, I had no idea yet how the mirror would end up being shattered, or how the massive piano would disappear. But now, I had a stage set for the last scenes, and a glimpse of the arc this story was about to take. I went back to my characters, discovering that they started guessing their way, at times stumbling, at times aiming straight, right towards that last scene. I wanted to become an architect, because that would allow me to bring together my creative, artistic side and the more research-based, engineering side of my nature. In later years, I earned my Master of Architecture from Rensselaer Polytechnic Institute in Troy NY, and my Master in Computer Science from the University of Michigan. Surprisingly, I find poetry to be the greatest influence on my writing: I appreciate the nuances, the overloading of words, and the musical rhythms used in the poetry of Edgar Allan Poe, the sonnets by Shakespeare, and the lyrical descriptions of Virginia Wolfe, to name but a few. I love American authors as well as authors from around the world, for example The Adventures of Tom Sawyer by Mark Twain, Crime and Punishment by Dostoyevsky, and Catcher in the Rye by J. D. Salinger, for their expressive use of ‘stream of consciousness’. Playwrights have a great impact on my writing., for example The Price by Arthur Miller, because they teach me to listen to dialog, and identify emotions and motives through the speech patterns of the characters. Finally, here is the twist: I tend to paint scenes and characters with words, so my writing cannot be separated from my art. I am an artist/writer, registering how we express emotions through gestures, in my sculptures and my writing alike. Thus you can say that my writing is informed, to a great degree, by great artists, from michelangelo and Rodin. I have ranted in the past about indie authors not taking the effort to edit their work, which in my opinion is a slight to the readers. In my opinion, the single most important thing for indie authors is not to rush it, make sure your work is well-edited, which shows you respect it and care for your readers. Uvi, thanks so much for stopping by and sharing what it's like for your to be a writer and an artist! It was great having you here!